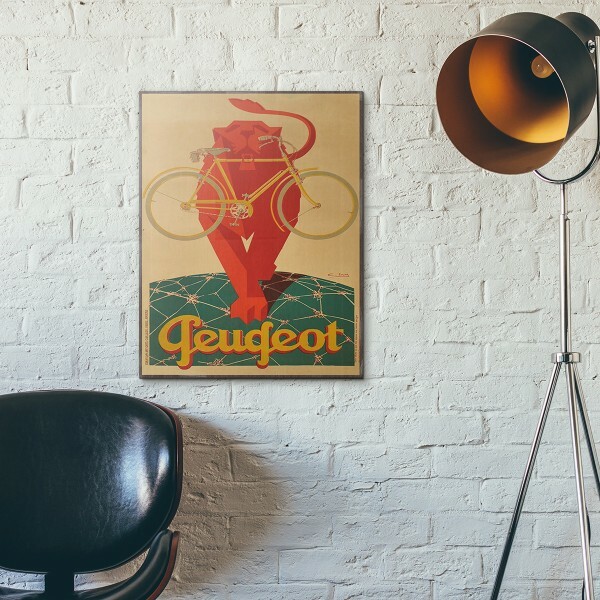 A vintage poster ad for Peugeot motorcycles designed by G. Favre. 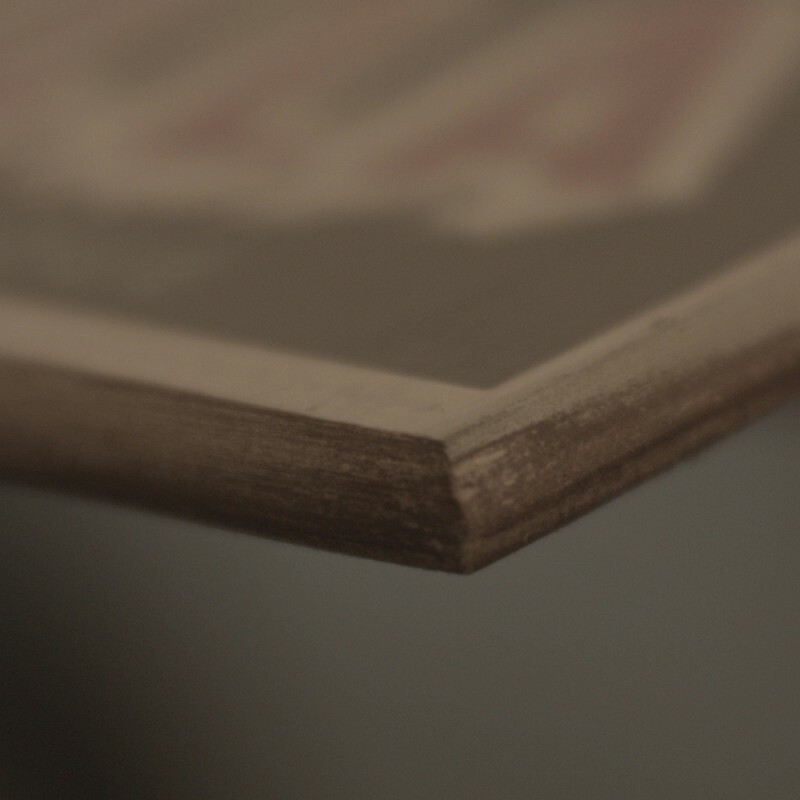 It is baked on sturdy, durable, recycled wood through a process known as decoupage. 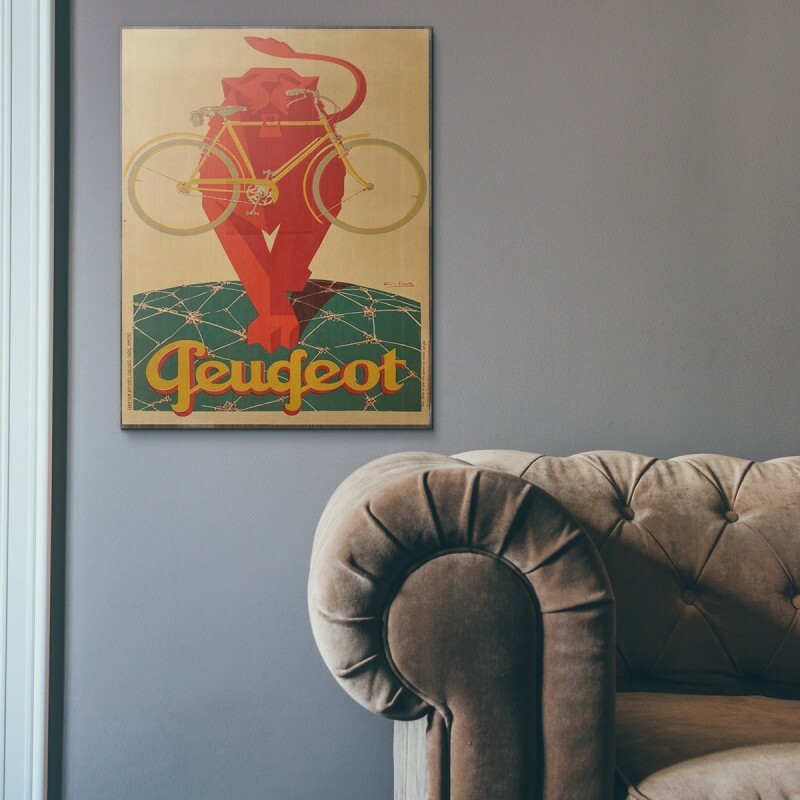 Guaranteed to stand out wherever you decide to place it. 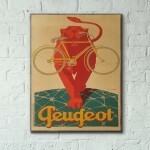 A vintage poster ad for Peugeot bikes designed by Max Ponty. 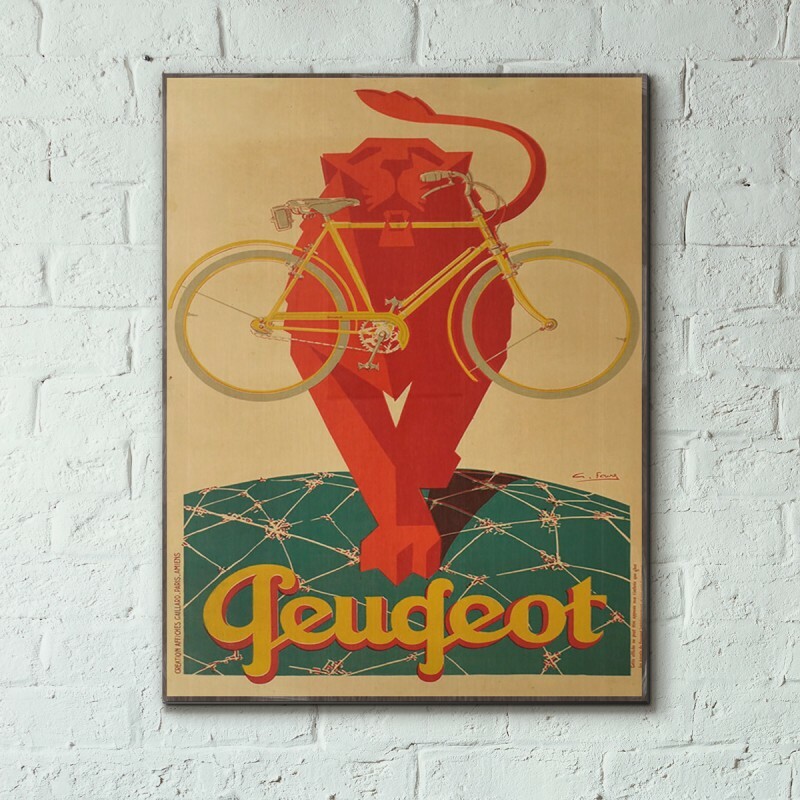 It is baked on sturdy, durable, recycl..
A vintage poster ad for Peugeot bikes designed by Roger Perot. It is baked on sturdy, durable, recy..
A vintage poster ad, La Grande Marque Nationale, for Peugeot motorcycles designed by G. Favre. It..
A vintage poster ad for Peugeot motorcycles designed by Lajos Marton (1891-1952). 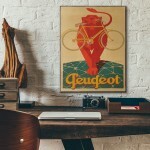 It is baked on stu..
A vintage poster ad for Jawa, a motorcycle manufacturer based in Czech Republic. It was founded in P..
A vintage poster ad for Citroen Models ID&DS. The ID shared the DS's body but was less powerful and ..